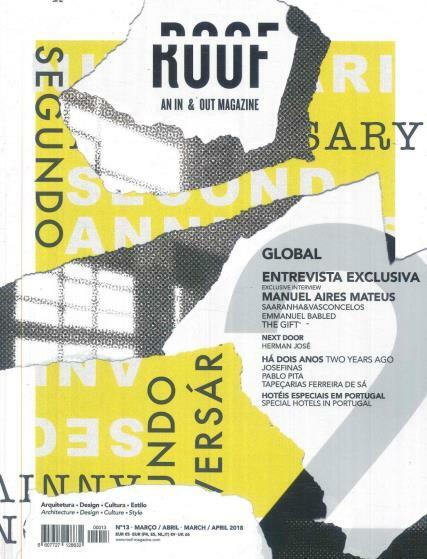 Roof – An IN & OUT is a bimonthly magazine aimed at architecture, design, culture and style. Buy a single issue or subscription to Roof magazine. Each issue of Roof has a different theme, find opinions, ideas and the latest projects around the world. The magazine is beautifully presented with its vibrant covers, featuring interviews with designers and architects from around the world. The publication is split in Portuguese and English.